We talked about the Kanto earthquake of 1923 in class today. It was interesting to learn that because it occurred around noon, people were cooking at the time as a result of which fires were caused. Some rumors were spread following the earthquake about Koreans committing crimes, which led to severe and mass killing of Koreans in the most brutal ways. Reading about it was painful. I feel like no matter which country I go to, there is hatred everywhere, which stems from no valid reasons. People hate others because of their nationality or their race. In the case of the Japanese and Koreans, they don’t look very different, but what distinguished them were their accents. 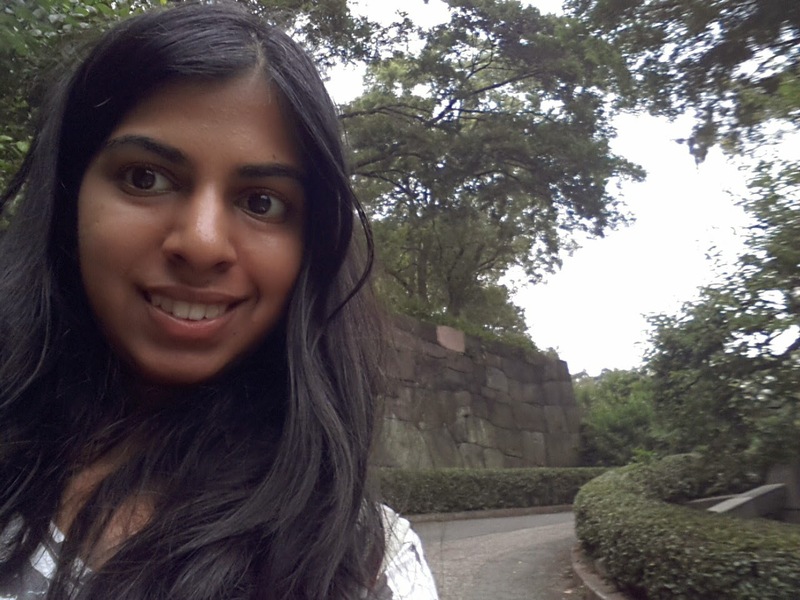 After class, I went to the Imperial Palace, which is the seat of the emperor. It was earlier in Kyoto and then shifted to Tokyo. 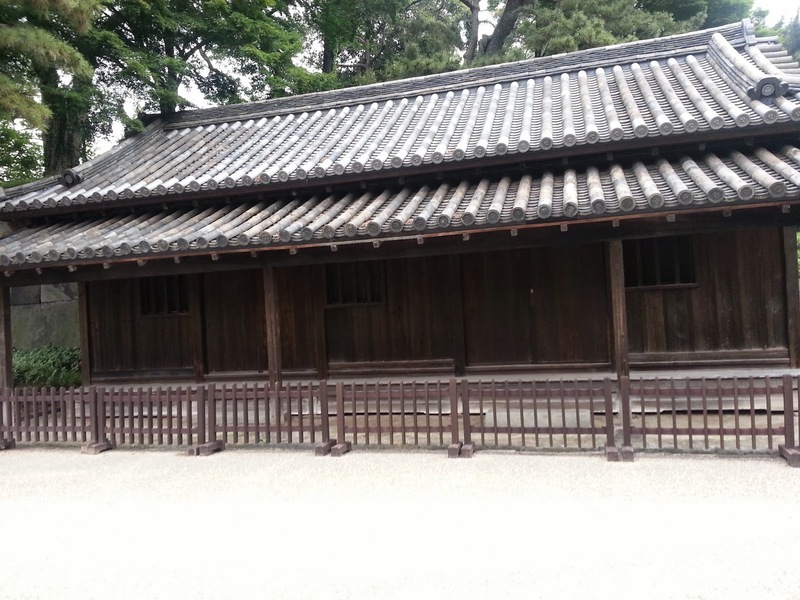 The Imperial Palace is full of garden and historical structures. I shall let the pictures do the talking. 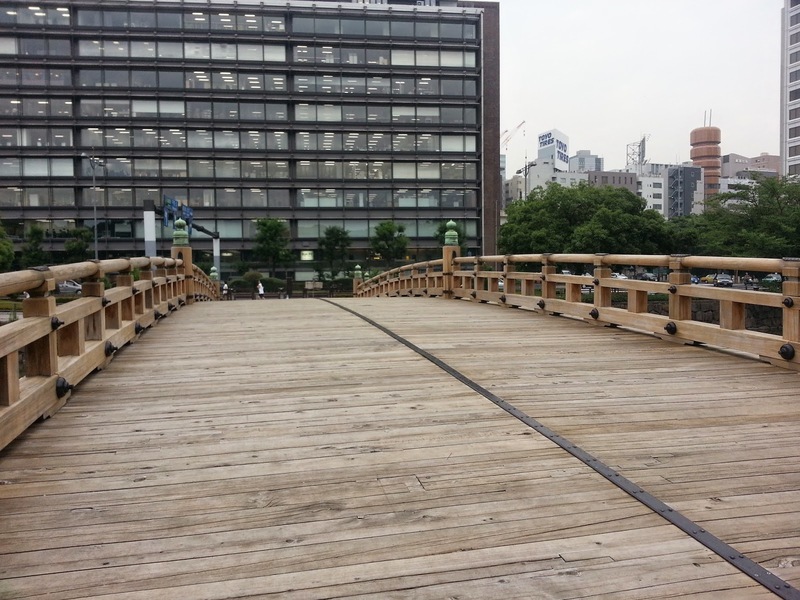 After the imperial palace I tried looking for the Nihonbashi bridge, but unsurprisingly, I got lost. I spent a few minutes sitting by the reservoir and it was really wonderful being by the water on one side and having the buildings, the people and the city activity on the other. 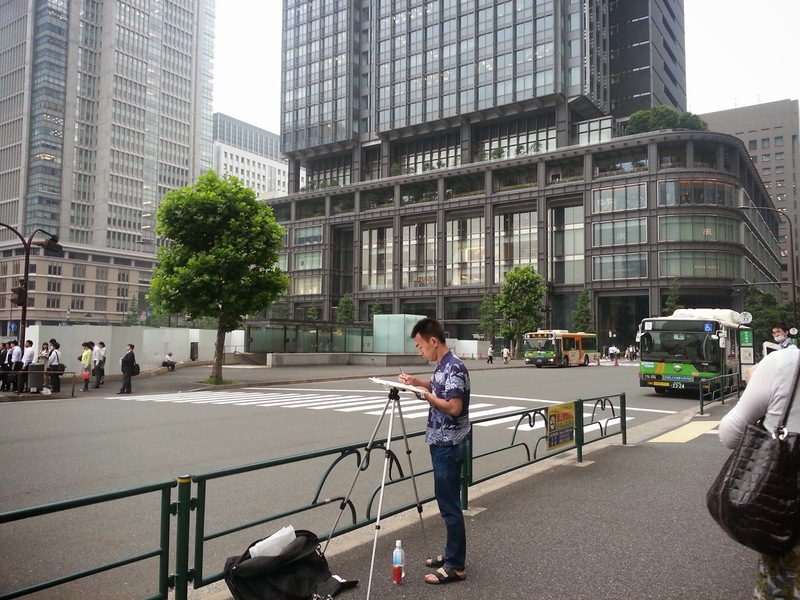 After walking around a little bit, I somehow ended up at the Tokyo station. 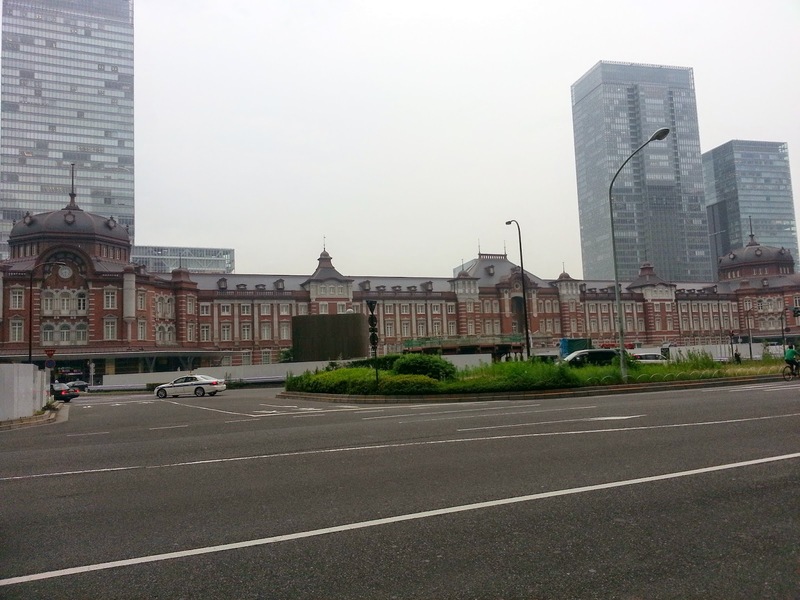 I consider it a moment of serendipity, because the Tokyo station was majestic. It has been in operation since 1914 and it had an archaic, grand sort of look to it. 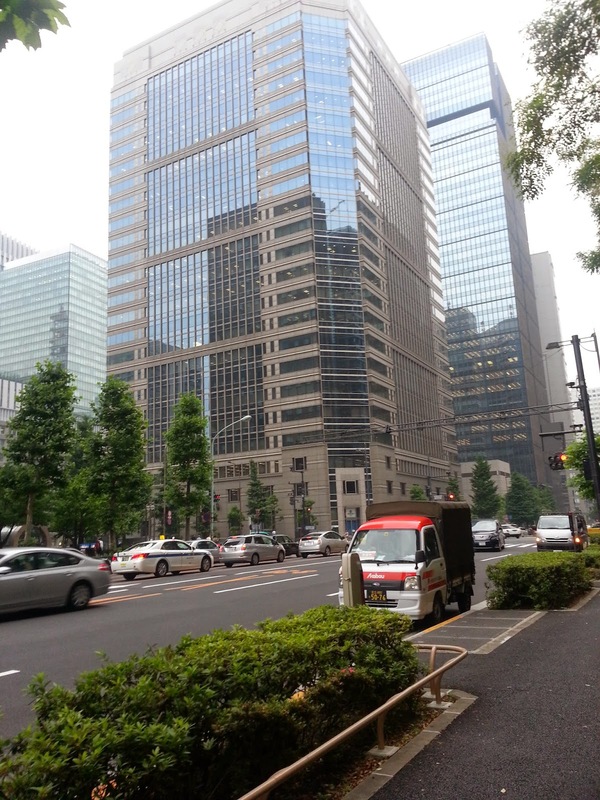 The area surrounding it (which is one of the main downtown areas of Tokyo) was very upscale and developed. 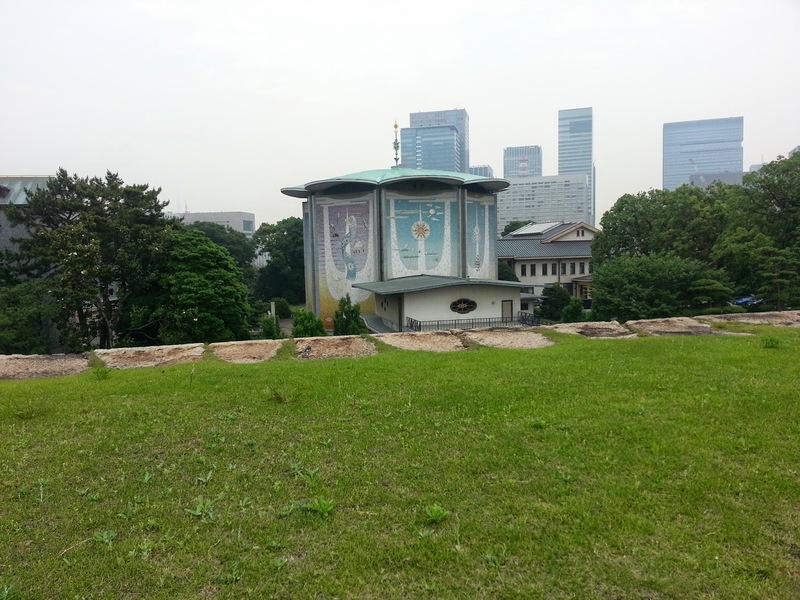 It was very green, comprised of skyscrapers, broad roads and a water reservoir (moats of the imperial palace). Being there reminded me why Tokyo is considered one of the most metropolitan cities in the world, and also why some people have an immense love for it. I am exactly halfway through my time in Tokyo as of today and I am slowly beginning to see the charm of this city. I hope I can leave with a better appreciation of it. I took the train back home from Tokyo Station. While trying to navigate my way around the station and looking for the right line to take home, I noticed departure timings of Shinkasens (bullet trains), which operate from Tokyo station to other cities in Japan. 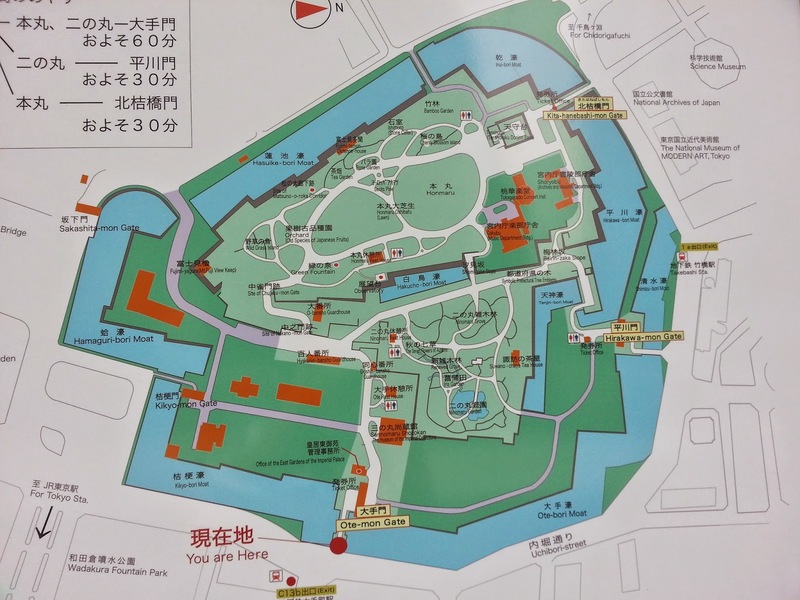 A map of the imperial palace-it was bigger than I expected. 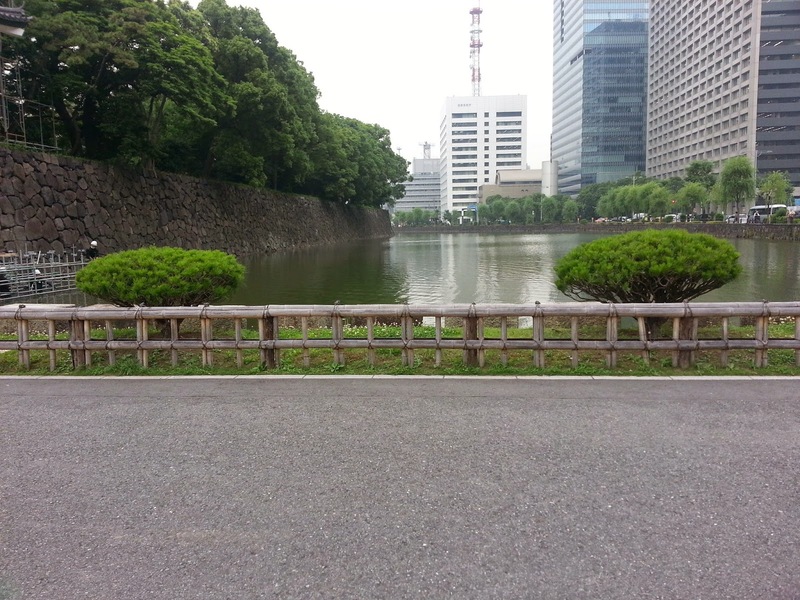 The moats around the imperial palace. A slope full of plum trees. Being a plum lover, this is a dream garden for me. 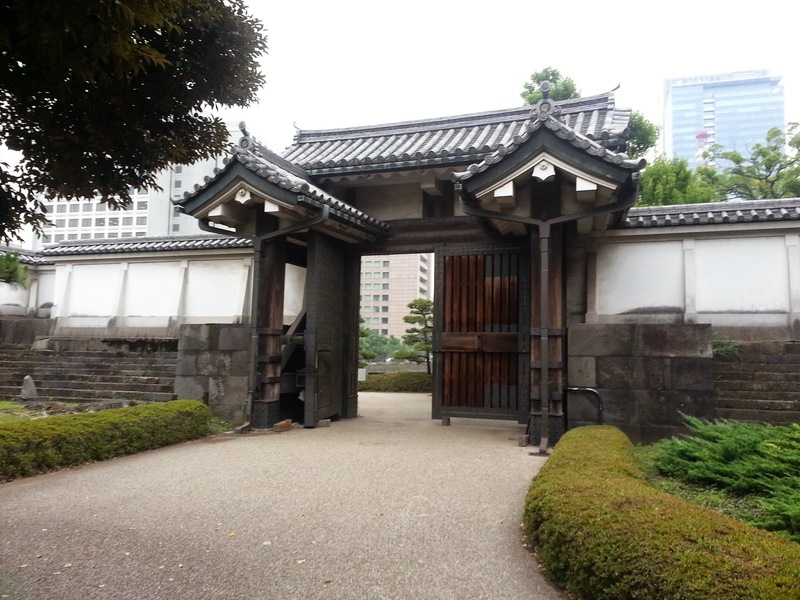 One of the many gates of the imperial palace. Tokyo Station in all its glory-it was surrounded by a buzz of activity. There were tourists outside clicking pictures and admiring the station, other tourists who were arriving from the airport and other places in Tokyo with suitcases and backpacks, and ofcourse there were the everyday commuters, returning home after a day of work.